Once again English Touring Opera places originality at the forefront of their programming. Only one of the three works in this triple bill is actually an opera, but taken together they offer audiences from Exeter to Durham the possibility of encountering a range of music from the end of the Renaissance and on into the Baroque. First up is a Latin oratorio by the 17th-century Roman master Giacomo Carissimi on the subject of Jonah. Working with the ensemble of eight singers who provide the entire evening’s casts, Bernadette Iglich’s fluent staging explores the piece’s narrative possibilities through song and movement, with tenor Jorge Navarro-Colorado an eloquent exponent of the central role of the prophet. Next comes I Will Not Speak, James Conway’s informative dramatisation of the life and work of the late Renaissance composer Carlo Gesualdo, Prince of Venosa – not only notorious for having murdered his wife and her lover but also famous for the extraordinary harmonies he explored in the madrigals and motets which form the piece’s musical sections. 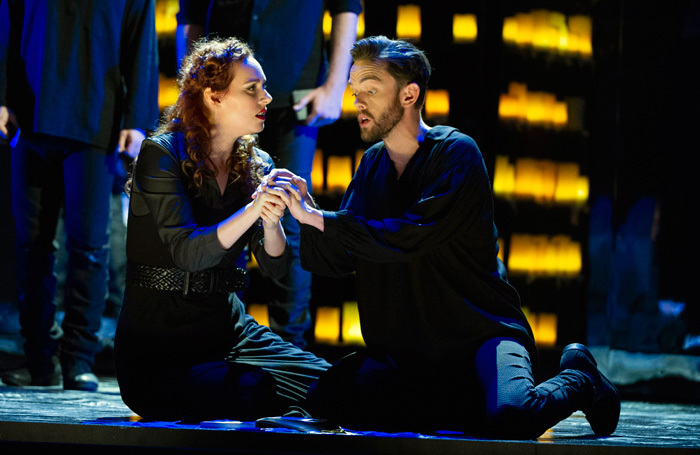 The finest of the three shows is Purcell’s Dido and Aeneas, perceptively directed by Seb Harcombe in resplendent period designs by Adam Wiltshire. Doubling up as required, the eight-member ensemble fulfil all the roles in the piece, solo or choral. Harcombe’s staging traces a taut dramatic arc from Dido’s uncertain acquiescence in her love for Aeneas to the tragic grandeur of her final lament: Sky Ingram brings emotional depth to the Carthaginian queen’s passion, while Nicholas Mogg conveys the divided loyalties of her Trojan lover. Frederick Long makes a superbly over-the-top Sorceress while Susanna Fairbairn’s Belinda offers Dido persuasive emotional support. Jonathan Peter Kenny is in charge of the evening’s music-making, winning particular success with his light-as-air account of the earliest English operatic masterpiece.